Today is the day. I’m scheduled for a PET scan at 12. It’s a big day for me. After six months of treatment it comes down to this. Did the treatments work? Is my cancer now under control or is it stronger than the treatments and has it continued to grow? Geez…could anything be more stressful?! I feel good. The pain I had in my rib before treatment is gone. That has to be a good sign, right? My oncologist will see me at 3:30 today. The verdict will be in. 3:30 can’t come soon enough! On a happy note, I have enjoyed my week without treatment! 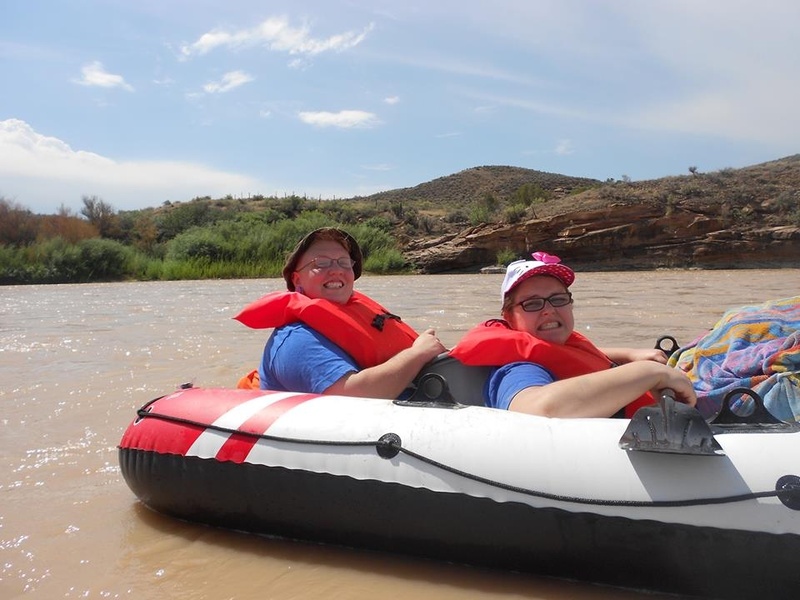 We rafted Ruby Horsethief Canyon. 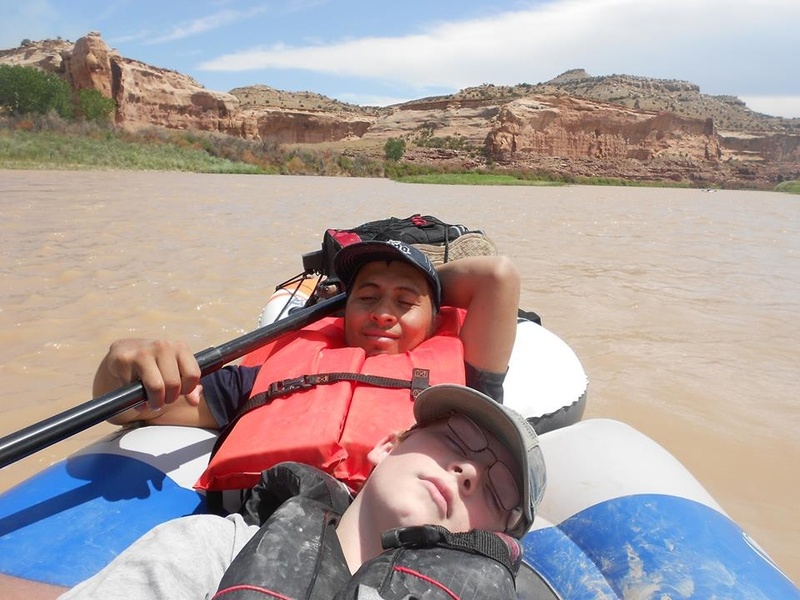 Twenty-five miles down the Colorado River. We did thirteen miles the first day, camped and did twelve miles the second day. Good times! That’s my Javiee and T.J. on the river. Ten miles in and T.J. was asleep! That’s my girl, Kristen, and JB on the river. This entry was posted in Uncategorized and tagged breast cancer, PET Scan, stage 4, stage IV. Bookmark the permalink. ← Last round of Taxol today! May luck be on your side today. Thank you Susan! Good results! I feel like I can breathe for the time being! Just found your blog. Praying that your results are good! My oncologist says that a reduce or lack of pain in your bones is a good sign. Hopefully you will get a long chemo vacation. Thank you Michelle! My results were good! I would love a long chemo vacation! Sending super positive thoughts your way, that you receive great results! Hang in there no matter what. Your attitude will carry you a long way. Thank you Wendy! All these positive thoughts are helping! Thinking of you tonight Tammy and hoping you get good news. Thank you so much! My news was good! I hope it stays that way for a long time!